Home / Posts Tagged "UCSB"
According to historical and anecdotic evidence, the Islas Marias archipelago has an important ecological role in the Mexican Pacific. Due to its potential role in the life history of the eastern pacific fauna, as well as the presence of many endemic and threatened species, the Mexican government created a biosphere reserve that protects the entire archipelago. The area was also declared a UNESCO World Natural Heritage Site in 2010. Depict its ecological importance, limited information on the archipelago’s marine life exists. These conditions make the Islas Marias archipelago a unique region to study local ecological dynamics, as well as a priority for marine conservation efforts in the Mexican Pacific. Current research projects are advancing our understanding of the local coral reef biology of the area. However, little to no current scientific studies exist that analyze the role of the archipelago in the ecology and conservation of marine megafauna and apex predators of the region. Analyzing the diversity, local abundance, residence time, and migratory patterns of top predators is an important first step in understanding the ecological role of the archipelago, as well as the efficacy of the marine park in protecting these threatened species. Furthermore, assessing elasmobranch abundance inside the protected area – particularly in the area adjacent to the well protected waters of Maria Madre – can provide a baseline to assess the depletion of sharks throughout the region. This project aims to provide the first comprehensive analysis of predator abundance, diversity and movement in the area, with a particular focus on elasmobranch species. In a collaborative effort, scientists from UC Santa Barbara, Pelagios-Kakunja A.C. and Prozona- Grupo Cleofas performed a trip to Isla Maria Cleofas to initiate the project. We performed our first expedition to Isla Cleofas in March 2018. We observed one nurse shark, two diamond rays and placed a sonar tag in one Dusky shark (Carcharhinus obscurus). Compared to other areas where we have worked, these results indicated low predator density. However, our results could have been affected by poor visibility conditions or could be a consequence of seasonal predator behavior. Here we are presenting the results of our second expedition in July-August 2018. Assessment of the relative abundance of predators, with particular emphasis on elasmobranchs, in Isla Maria Cleofas. 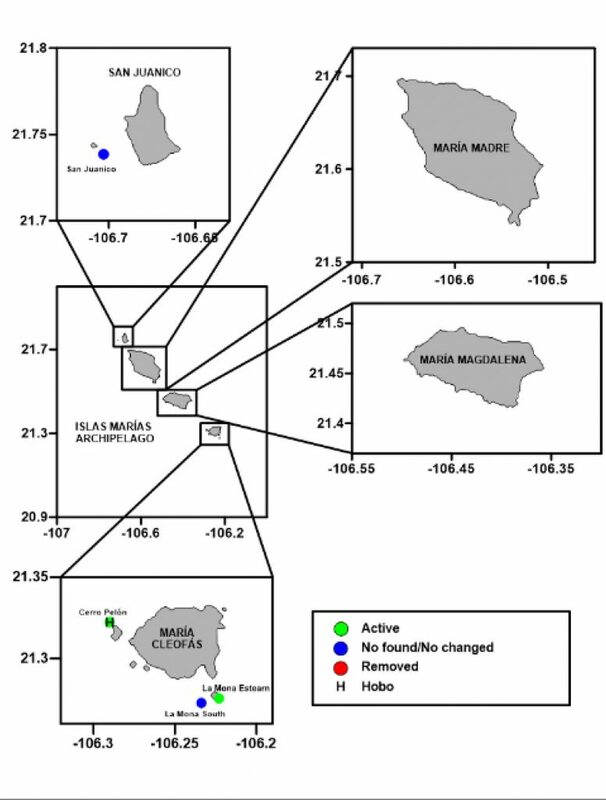 Assessment of the diversity of predators, with particular emphasis on elasmobranchs, in Isla Maria Cleofas. A preliminary analysis of spatial dynamics of elasmobranch populations (e.g. acoustic tagging, satellite tagging) in the archipelago. An initial relative abundance and diversity of predators was assessed using baited remote underwater video (BRUV). 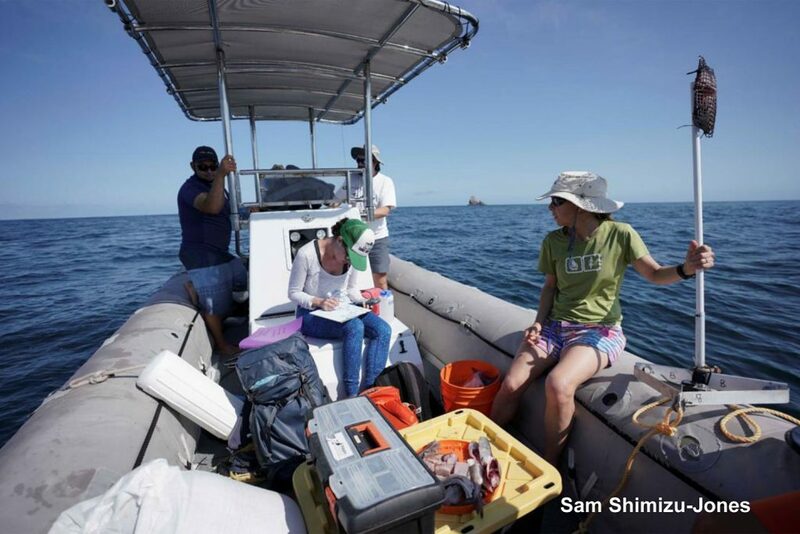 BRUV surveys are a standard tool for monitoring large bodied, potentially cautious reef fish including sharks. They are non-invasive and repeatable and collect data on the relative abundance and distribution of the marine faunal community, particularly for motile fauna. A BRUV system consists of GoPro Hero cameras – one camera for a standard system, two cameras for a stereo system – mounted on a metal frame. BRUV systems are baited with 1 kg of mackerel or other oily fish, cut into small pieces and contained within a mesh bait canister to allow a bait plume to form (Fig. 1). The bait canister is positioned so that it appears in the video frame. 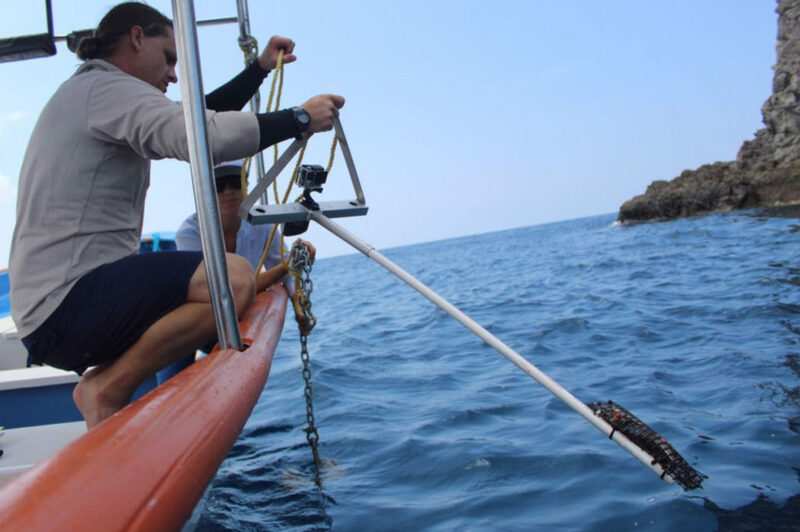 BRUV systems are lowered to the reef floor from the boat using a surface line; a buoy attached to the surface line marks the position of the BRUV for retrieval (Fig. 2). BRUVs were deployed for approximately 60 minutes (not including deployment and retrieval time); all BRUVs were set at depths between 5-100 m (most <40 m) during daylight hours (06:00 h – 18:00 h) (Figs. 3a & b). Simultaneous BRUV surveys were set with a distance of approximately 700m between surveys around the entire perimeter of Isla Cleofas (Fig. 4). We used a traditional hook and line fishing gear, called “simplera” to capture elasmobranchs around the perimeter of Islas Marias (Figs. 5a & b). The simplera consists of a fixed main line anchored up to 1000m deep. The line is attached to a floating hook and line system that allows the shark to move when captured, and reduces any negative impacts due to fishing. 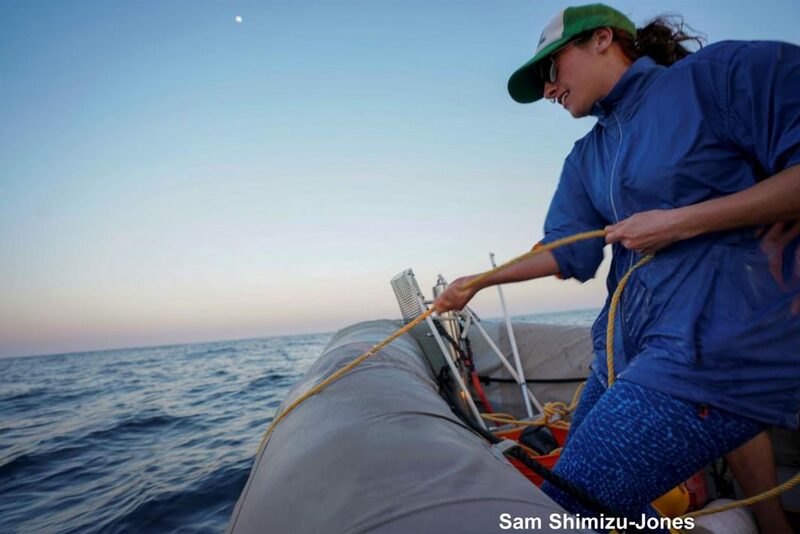 Captured sharks were brought to the side of the boat to obtain tissue samples and to place an acoustic tag (Fig. 6). 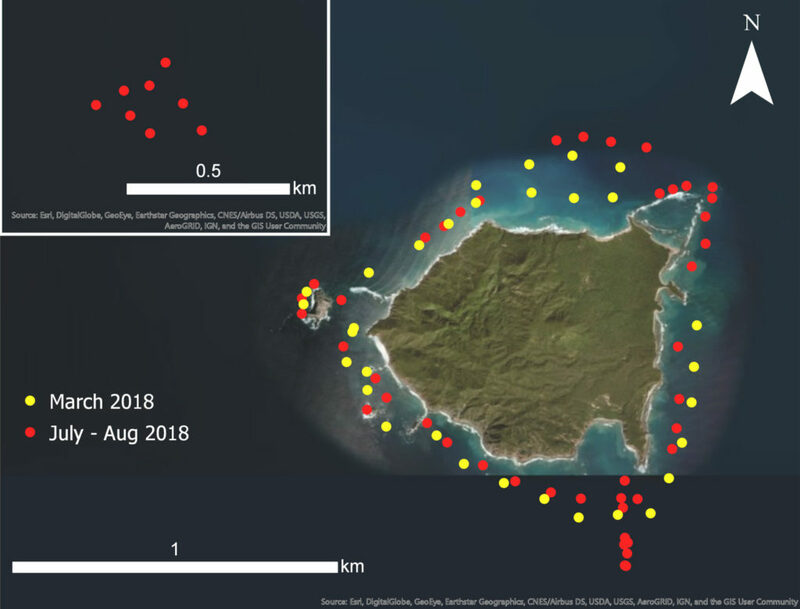 We deployed 50 BRUVs cameras in the entire perimeter of Cleofas Island and in a reef recently found between Cleofas and Magdalena Islands called “no name reef” (Figs. 1 and 2). Nurse sharks were commonly found in the videos (Fig 3). The good visibility conditions allowed us to observe nurse sharks and other fish predators, including members of the Lutjanidae and Carangidae families. Fig 1. Underwater cameras placed in March and July. The deployments made in “no name reef” are shown in the top left corner. Fig 2. Approximate location of “no name reef”. 5 simpleras were set at different depths and were left active 24hrs during the 5 days of the trip. The simpleras were constantly monitored (Table 1). Fin clips for genetic and blood samples for trophic analysis were collected of the captured shark. 2 simpleras were placed in the center of the channel between Maria Cleofas island and Maria Magdalena island (Fig. 1). These 2 new simpleras captured 4 tiger sharks in a two days period, indicating that this area could be a hot spot for tiger sharks. Figure 4. Map of placing of the “simpleras” and the captured shark. 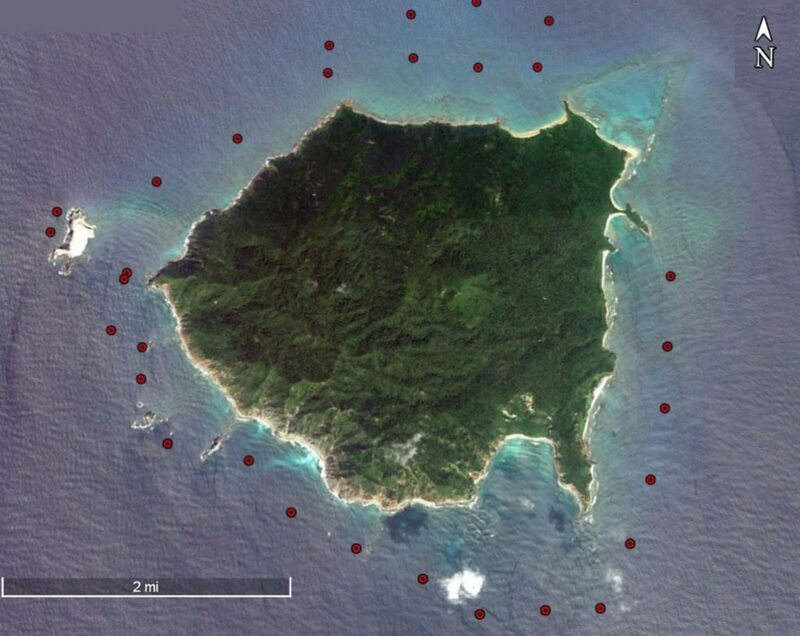 Green spots are “simplera” locations; red X means the place where the shark were captured and tagged. Fig 6. All captured sharks were tagged. We also took tissue and blood samples. Photo: Abel Trejo. Fig 7. Deployment of a BRUV. Photo: Abel Trejo. 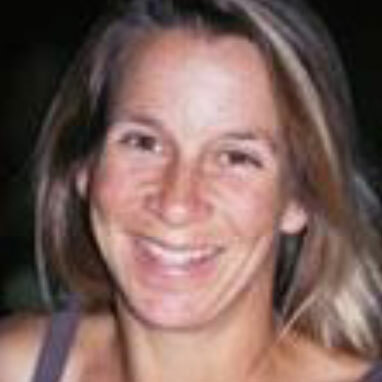 I am a staff researcher at the Bren School of Environmental Science & Management at UC Santa Barbara. I am broadly interested in developing management tools that can help solve and prevent over-exploitation in marine ecosystems. 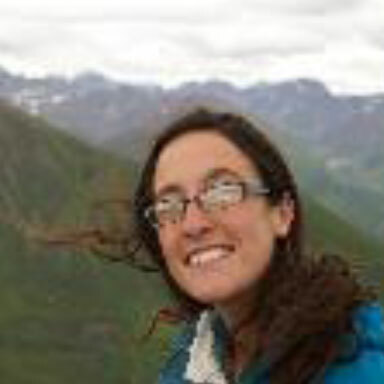 My research seeks to understand the social and ecological consequences of different spatial management tools, such as Marine Protected Areas (MPAs), to inform policy-making. I apply novel methodologies by combining tactics from diverse disciplines, including ecology, economics and anthropology. In Islas Marias, I am currently coordinating a collaborative effort to understand the role of this MPA in marine megafauna and apex predator conservation. 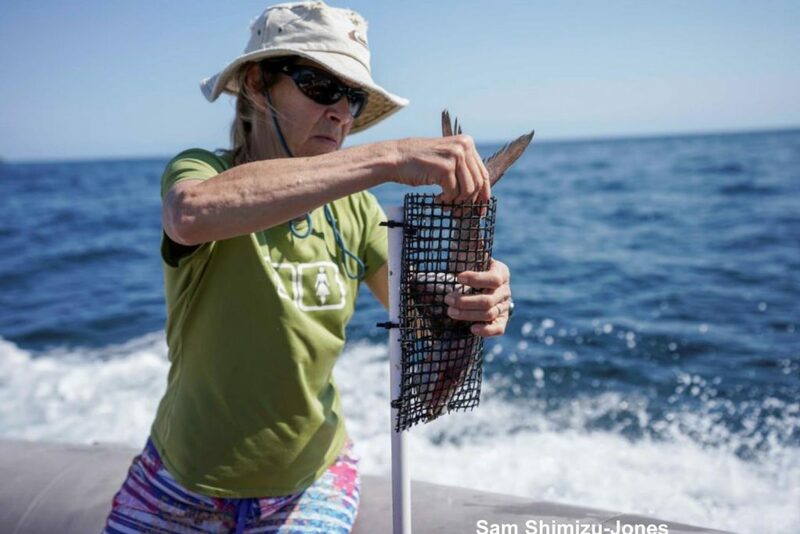 I am a Research Biologist at the Marine Science Institute at UC Santa Barbara. My research is broadly focused on marine conservation and reef ecology. I currently work in both coral reef and kelp forest ecosystems studying community dynamics, recruitment and larval dispersal and movement patterns of fishes. I also manage a large-scale field- based monitoring program of kelp forests in the California current ecosystem with goals of assessing long-term changes due to climate and anthropogenic impacts. I have studied sharks for the last 15 years of my career, focusing particularly on the ecology of whale sharks in the Gulf of California and the movement of hammerhead sharks in the Galapagos Islands. Currently I study the behavior of many species in the Mexican Pacific and the Eastern Tropical Pacific. I am a founder of Migramar focused on research on marine migratory species, as well as co-founder and president of Pelagios-Kakunjá, A.C. 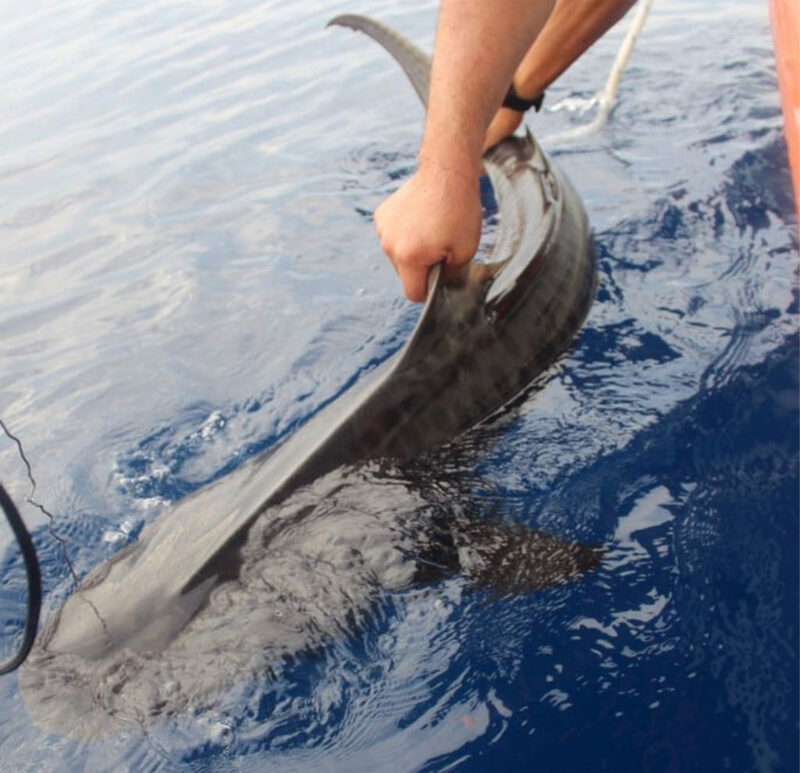 I have participated in several shark fisheries research projects in the Mexican Pacific. I have also performed research on captive sharks for the Guadalajara Zoo aquarium. I am currently collaborating with Pelagios-Kakunjá in shark surveys, as well as acoustic and satellite tagging of sharks in Cabo Pulmo National Park. 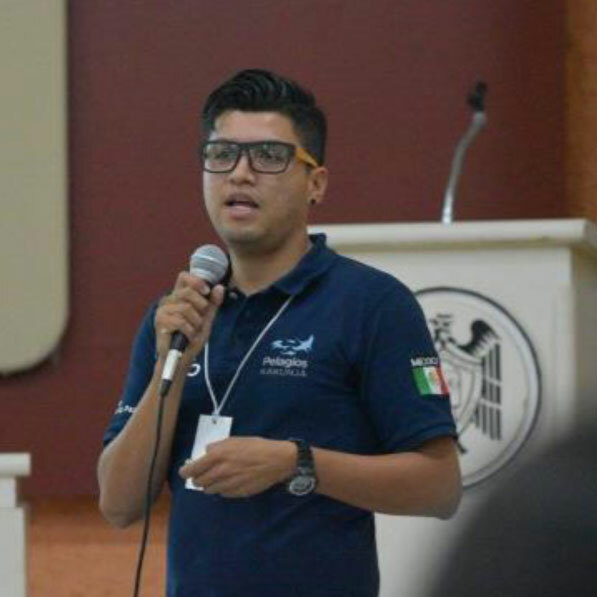 I hold a Masters in Science degree in marine resources management from “Centro Interdisciplinario de Ciencias Marinas (CICIMAR)”, where I developed a project on determining La Paz bay as a nursery ground for the brioche shark Rhizoprionodon longurio. After graduating from UC Santa Barbara in 2008 with a B.S. in aquatic biology, Peter worked as a subtidal research technician within the network of marine protected areas surrounding the Santa Barbara Channel Islands. In 2009, Peter managed a large-scale field study of fish and invertebrate recruitment in southern California’s rocky reef habitat. In 2013, Peter began his Master’s work at UCSB under Dr. Jennifer Caselle and Dr. Robert Warner. For his Master’s thesis, Peter investigated the role of large herbivores in coral reef resilience. Peter’s other research interests include the sustainability of catch and release fishing practices, and the ecology and conservation of tropical reef flats. 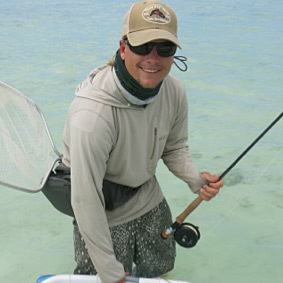 When he is not in the water, Peter enjoys fly fishing and spending time in the mountains. 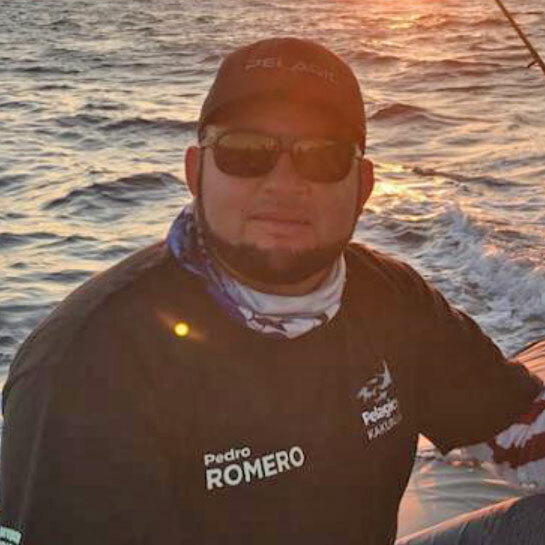 Pedro is a fisherman from Lopez Mateos, Baja California Sur. For many years, his livelihood came from shark fishing. Motivated by the development of sustainable fisheries in his hometown, he has recently collaborated with local conservation NGOs in a diversity of projects. 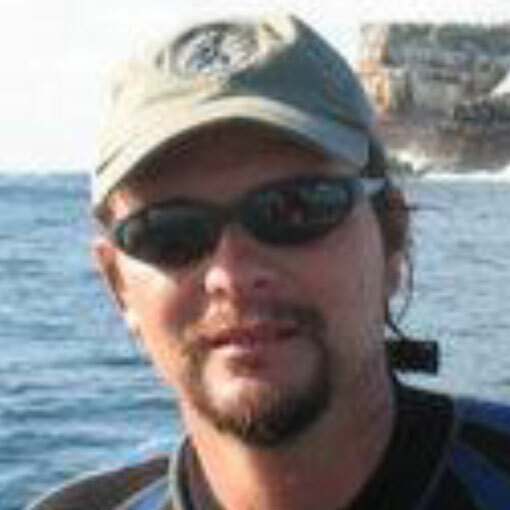 Recently he joined Pelagios-Kakunjá where he works as a boat captain and aids on shark tagging efforts. His fishing experience was key in our shark capture efforts. The Islas Marias Biosphere Reserve is home to a large number of endemic and threatened species and was declared a UNESCO World Natural Heritage Site in 2010. The presence of a prison on one of the islands (Maria Madre) since 1905 has limited the access to citizens and scientists to the archipelago for decades, which has possibly favored its protection but has left the area largely understudied. The limited amount of information on the archipelago’s marine life is problematic given its importance in marine conservation. Existing evidence indicates that the islands play an important role in the life history and conservation of northeastern Pacific fauna. However, these islands are still influenced by strong levels of resource use and pollution in the neighboring areas. These conditions make the Islas Marias archipelago a unique region to study local ecological dynamics, as well as a priority for marine conservation efforts in the Mexican Pacific. Given the relevance of the archipelago, it is important to support the efforts of Mexican institutions in creating a robust body of knowledge that can help in the development of strong conservation initiatives. With this goal in mind, current research projects are advancing our understanding of the local coral reef biology of the area. However, little to no current scientific studies exist that analyze the role of the archipelago in the ecology and conservation of marine megafauna and apex predators of the region. In particular, little is known about the local diversity and abundance of elasmobranchs. The Biosphere Reserve’s management plan mentions only one study – Robertson and Allen (2002) who provide a list of the species found in the area. The list includes 21 shark species and 10 ray species, including endangered whale sharks (Rhincodon typus). Analyzing the diversity, local abundance, residence time, and migratory patterns of top predators is an important first step in understanding the ecological role of the archipelago, as well as the efficacy of the marine park in protecting these threatened species. Furthermore, assessing elasmobranch abundance inside the protected area – particularly in the area adjacent to the well protected waters of Maria Madre – can provide a baseline to assess the depletion of sharks throughout the region. 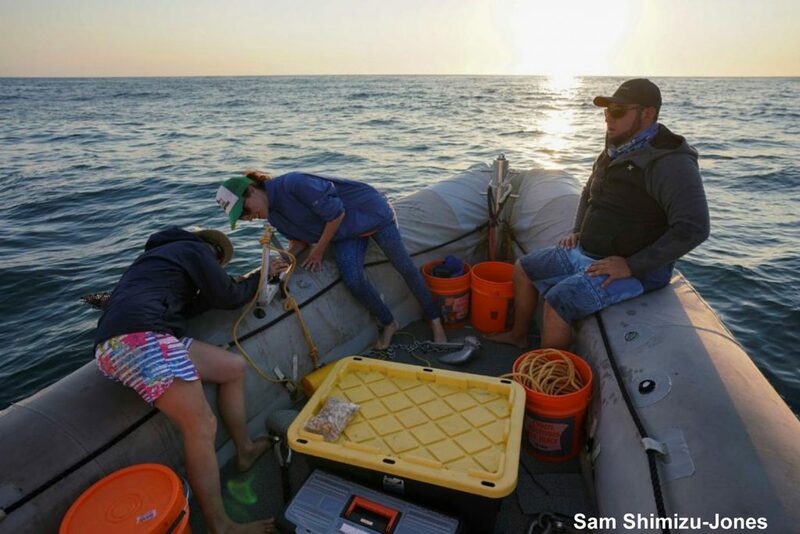 This project aims to provide the first comprehensive analysis of predator abundance, diversity and movement in the area, with a particular focus on elasmobranch species. In a collaborative effort, scientists from UC Santa Barbara, Pelagios- Kakunjá A.C. and Prozona- Grupo Cleofas performed a trip to Isla Maria Cleofas to initiate the project. Here we present the preliminary results of our first expedition to the archipelago. 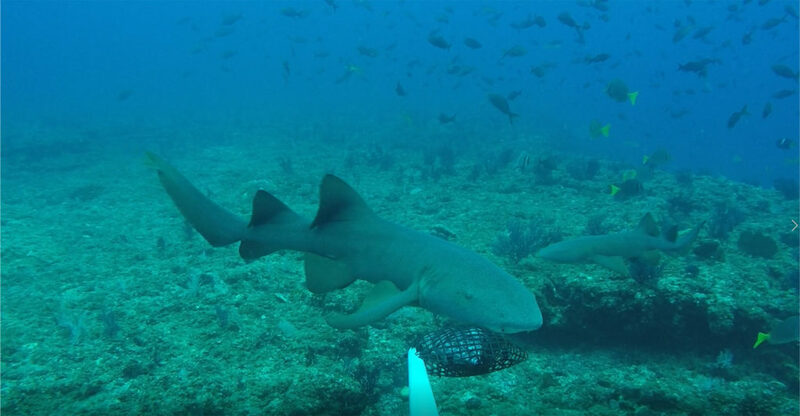 Assessment of the relative abundance of predators, with particular emphasis on elasmobranchs, using baited remote video systems (BRUVS) in Isla Maria Cleofas. Assessment of the diversity of predators, with particular emphasis on elasmobranchs, using BRUVS in Isla Maria Cleofas. A preliminary analysis of spatial dynamics of elasmobranch populations utilizing acoustic and satellite transmitters in the archipelago. An initial relative abundance and diversity of predators was assessed using baited remote underwater video systems (BRUVS). BRUVS surveys are a standard tool for monitoring large bodied, potentially cautious reef fish including sharks. They are non-invasive and repeatable and collect data on the relative abundance and distribution of the marine faunal community, particularly for motile fauna. A BRUVS consists of GoPro Hero cameras – one camera for a standard system, two cameras for a stereo system – mounted on a metal frame. BRUVS are baited with 1 kg of mackerel or other oily fish, cut into small pieces and contained within a mesh bait canister to allow a bait plume to form (Fig. 1). The bait canister is positioned so that it appears in the video frame. BRUVS are lowered to the reef floor from the boat using a surface line; a buoy attached to the surface line marks the position of the BRUVS for retrieval (Fig. 2). BRUVS were deployed for approximately 60 minutes (not including deployment and retrieval time); all BRUVS were set at depths between 5-100 m (most <40 m) during daylight hours (06:00 h – 18:00 h) (Figs. 3a & b). Simultaneous BRUVS surveys were set with a distance of approximately 700m between surveys around the entire perimeter of Isla Cleofas (Fig. 4). We used a traditional hook and line fishing gear, called “simplera” or set lines to capture elasmobranchs around the perimeter of Islas Marias (Figs. 5a & b). The simplera consists of a fixed main line anchored up to 1000 m deep. 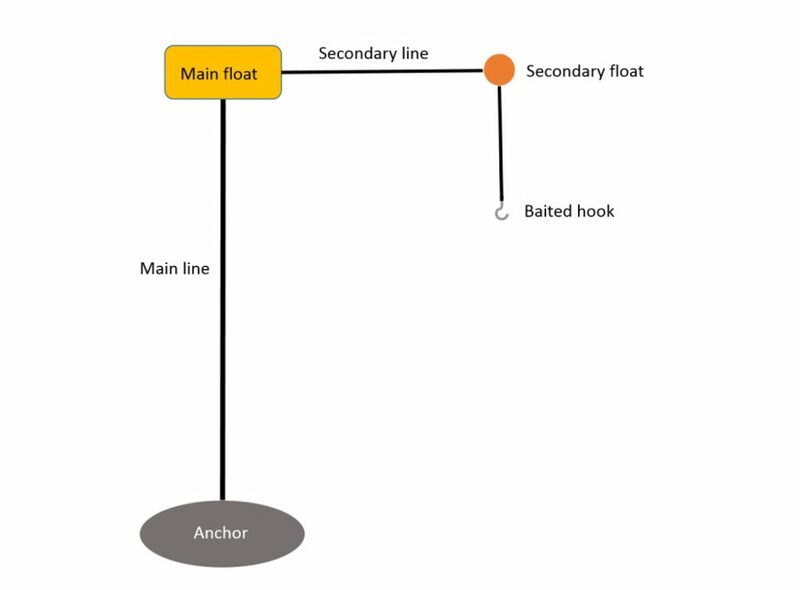 The line is attached to a floating hook and line system that allows the shark to move when captured and reduces any negative impacts due to fishing. 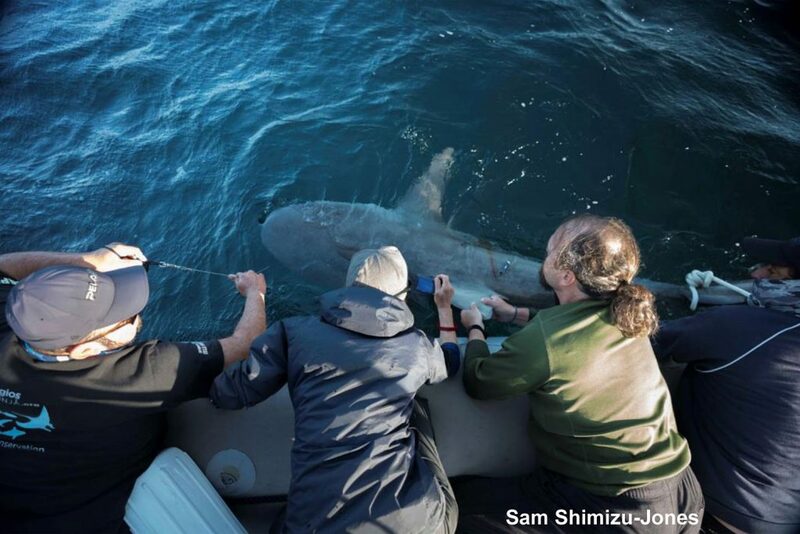 Captured sharks were brought to the side of the boat to obtain tissue samples and to place an acoustic or satellite tag (Fig. 6). Two dives were performed to place two acoustic receivers in Cerro Pelón and La Mona, Islas Cleofas. We also tried to recover a previously placed receiver in La Mona, but it was unsuccessful. 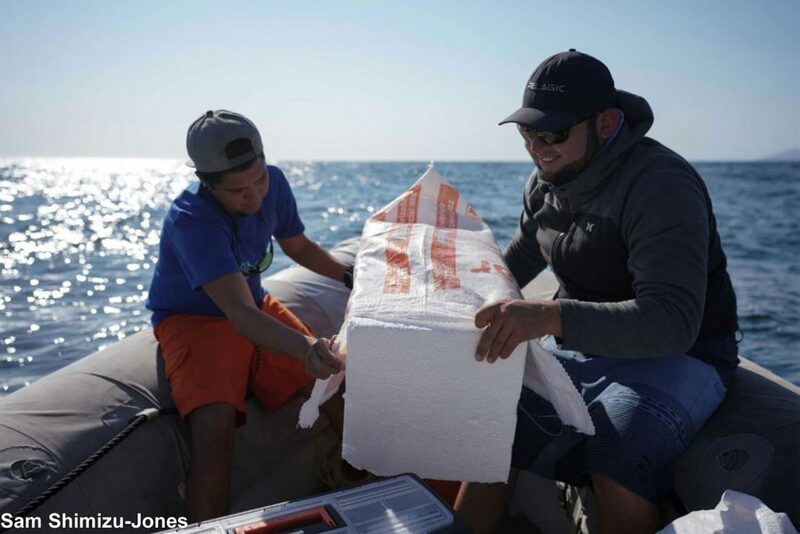 These receivers are used to shark, manta and other pelagic fish movements, connectivity and spatial utilization in the Mexican Pacific. We deployed 30 BRUVS and recorded approximately 36 hours of footage. – We observed one nurse shark and two rays (diamond rays). Compared to other areas where we have placed BRUVS, these preliminary results indicate low predator density. Visibility was low, limiting the effectiveness of the BRUVS for reef fish abundance. A second effort under better visibility conditions is necessary to produce robust results. Reef fishes were spatially quite variable. Some sites had high abundance, and some had very low abundance. This is to be expected and we will attempt to correlate these patterns with habitat. The BRUVS allowed us to make an assessment of habitat (bottom) type at all sites. We observed a mixture of sand and rock. We did not observe much living coral. 4 simpleras were set at different depths and were left active 24 hrs during the 5 days of the trip. The simpleras were constantly monitored (Fig. 7). We captured one Dusky shark (Carcharhinus obscurus) and placed an acoustic coded transmitter behind its dorsal fin (Table 1 and Fig. 7). We took tissue samples for genetics and trophic analysis of the captured shark. Two acoustic receivers were placed. The receiver we tried to recovered was not found. It was possibly dragged by the current. 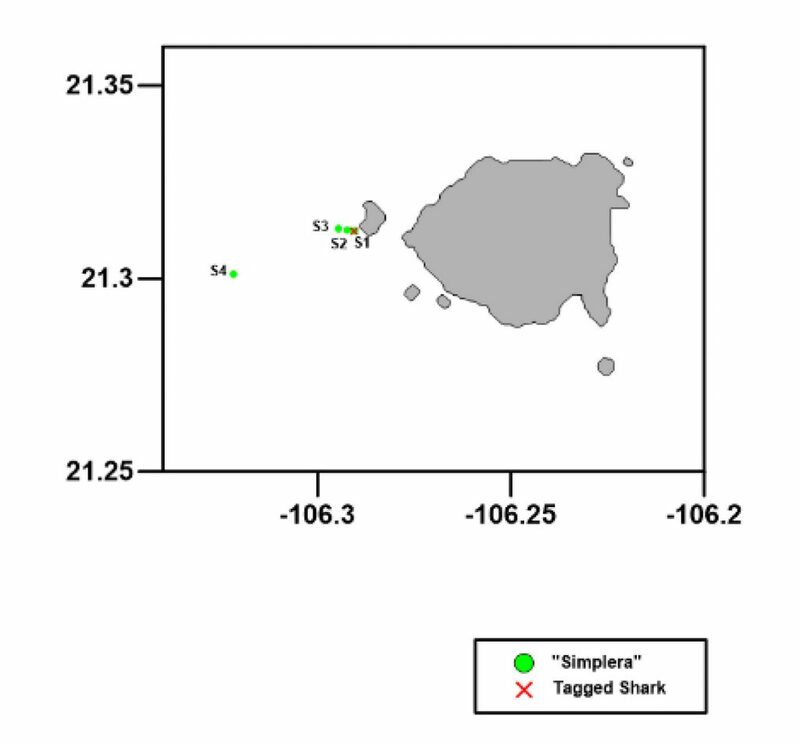 Our low elasmobranch catch per unit of effort reveals a low density of sharks in the area. Although further analyses are necessary, this could be a sign of overfishing in Isla Cleofas. 2 new acoustic receivers were placed; one in the islet La Mona and another one in el Cerro Pelón (in this last acoustic station we also deployed a Hobo) (Fig. 8 & 9). We couldn’t recover 2 old acoustic receivers, they were placed in an expedition to the Islas Marías Archipelago in 2010. 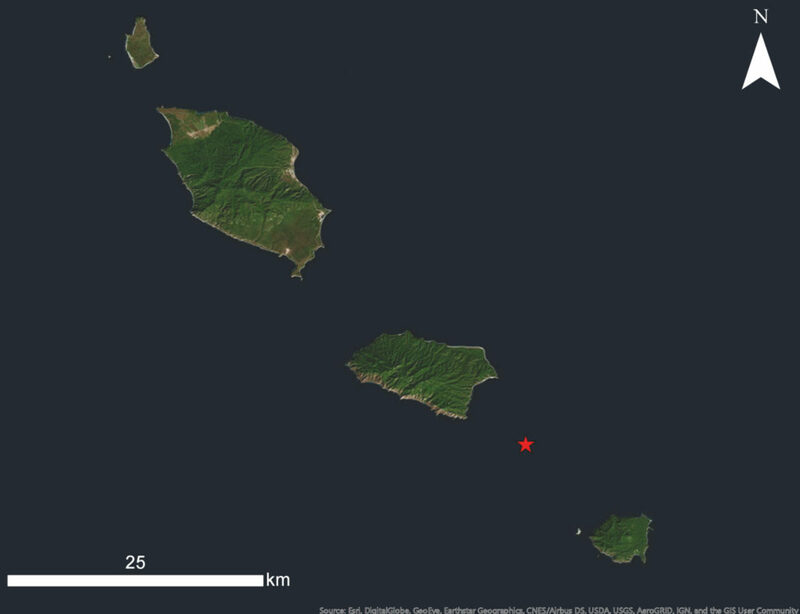 One of these receivers is in San Juanico Island —Island that we couldn’t go, due the lack of permit — and the other one we couldn’t find it in islet La Mona (It may be lost due the length of time (almost 8 years), plus current and other factors that may have weakened the mooring). Figure 1. Preparation on the BRUVs. Jennifer Caselle places the bait to attract predators to the camera. Figure 2. Deployment of a BRUV. Fig. 3b. Recovery of the BRUV. All BRUVs were left recording for approximately 1hr. Figure 4. MAP of BRUV deployments around Isla Cleofas. Figure 5a. Schematic representation of the “simplera” used to capture sharks in the surroundings of Isla Cleofas. Figure 5b. Pedro Romero and Abel Trejo building a simplera. Figure 6. 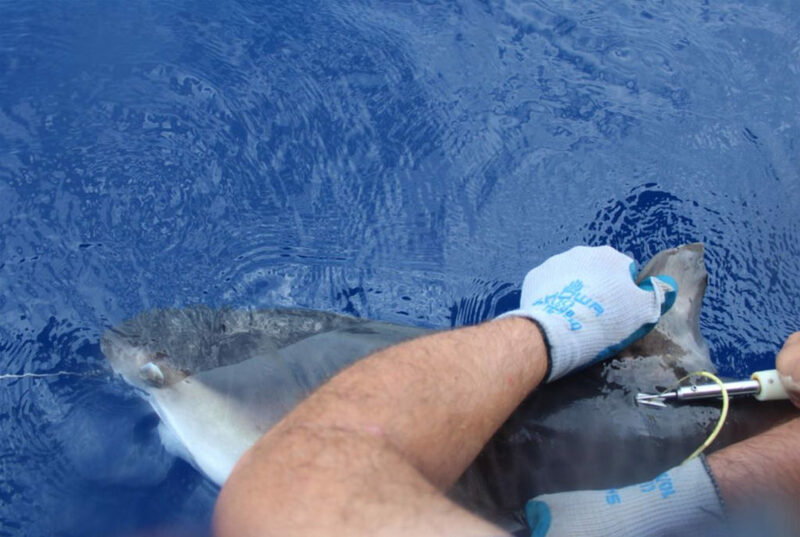 Placement of an acoustic tag on a Dusky shark (Carcharhinus obscurus). Figure 7. Map of placing of the “simpleras” and the captured shark. 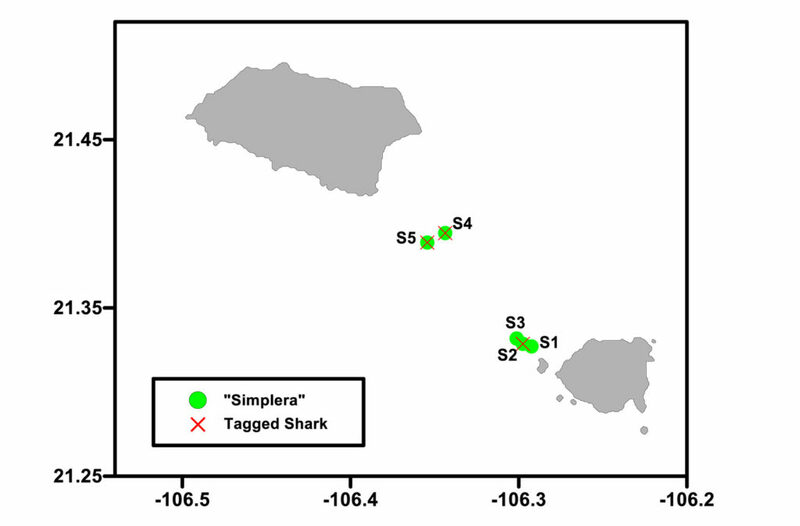 Green spots are “simplera” locations; red X means the location where we captured and tagged the shark. Fig 8. 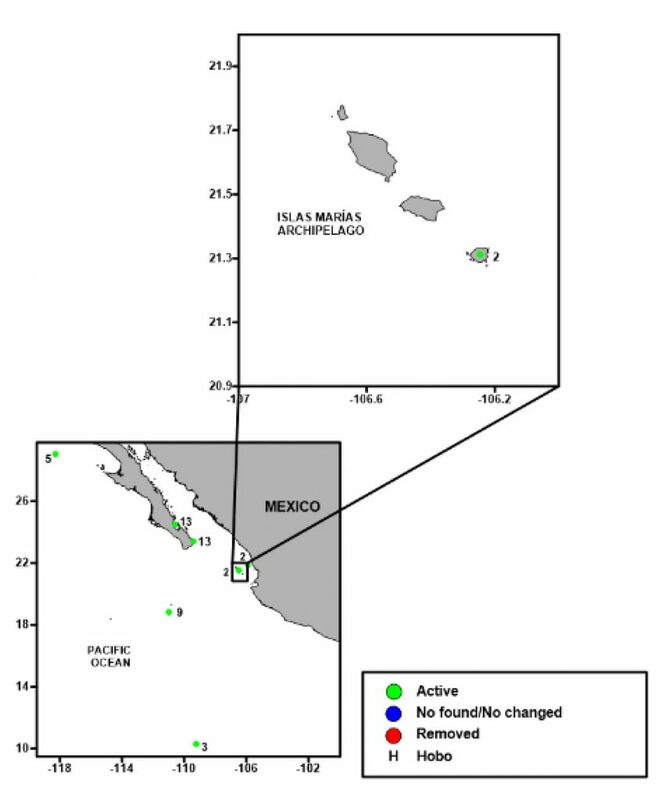 Map of the array of acoustic receivers deployed by Pelagios Kakunjá in the Mexican Pacific. Green spots are active acoustic stations. Fig 9. Map of the array of acoustic receivers deployed in Islas Marías Archipelago. Green spots are active acoustic stations.